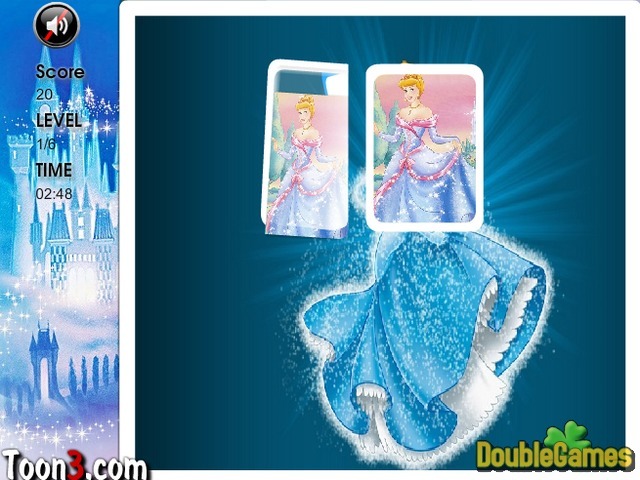 Play free online game Cinderella. Memory Matching! Match the same cards and remove them from the field. Time is unlimited, so don't be in a hurry and try to remember pictures on cards. Be attentive, because this beautiful Princess can be a cunning cheater! Her poses on pictures sometimes are almost identical, so try to concentrate your attention on the game, but not on Cinderella herself. 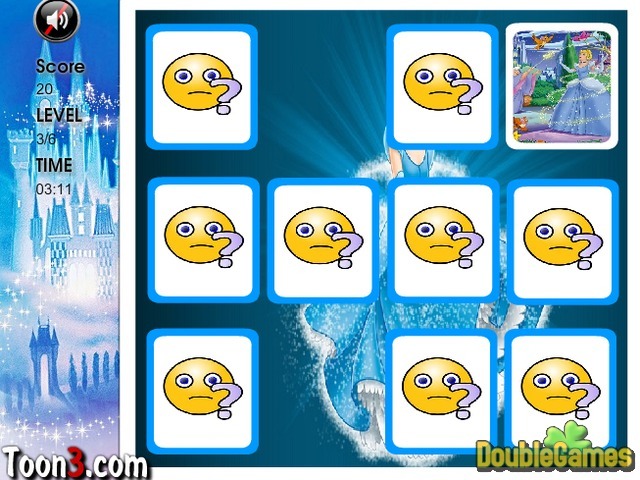 Test your memory and see how quickly you can clear the board by matching up the pairs. Title - Cinderella. 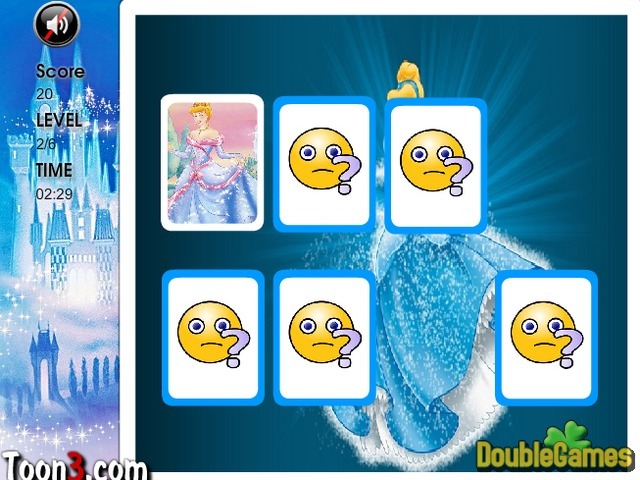 Memory Matching Online Game Description - Glance at Cinderella. Memory Matching, a Hidden Object game devised by Toon3.com. Match the same cards and remove them from the field.